Habitat loss is perhaps the biggest threat to the future of our planet's wildlife. Populations of wild animals have dramatically shrunk due to the disappearance of wild spaces. But there is hope. Large areas of unspoiled private land, situated in strategic conservation areas are available to purchase and protect. The race is on to conserve them before they are lost for nature forever. In 2016 we signed a contract to acquire the rights to a 1235 acre piece of land in KwaZulu-Natal, South Africa. We called the land Ukuwela which means 'to cross over' in Zulu. Ukuwela was at risk of becoming a pineapple farm. That would have meant all the animals that lived on the land, including leopard, zebra, wildebeest, hippo, crocodile would have been removed or destroyed. As would every tree, plant and flower. Ukuwela is a natural jewel. 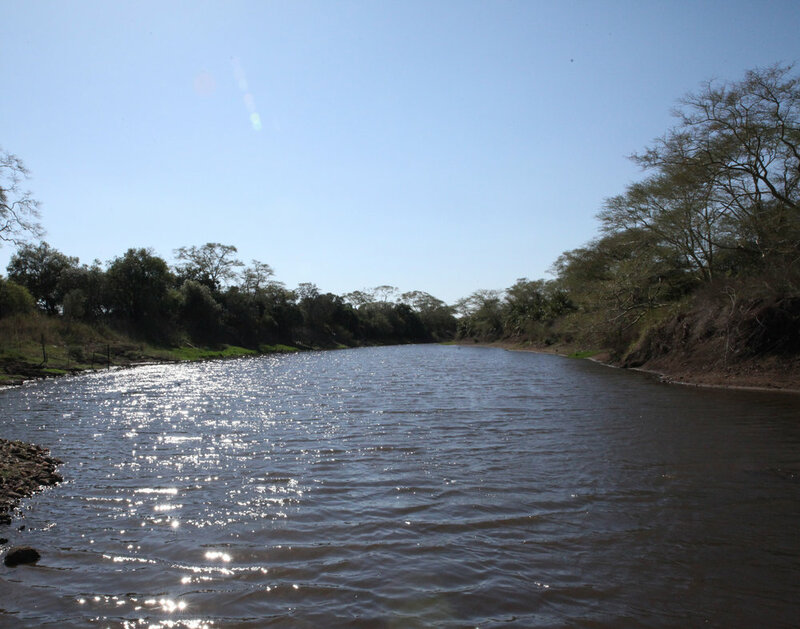 The precious river, fever tree forests, open grasslands, riverine thickets, and mixed woodlands, make it one of the most beautiful and diverse wilderness areas in the region. Just like the neighboring Phinda Private Reserve it has the potential to support an incredible amount of plant and animal species. Ukuwela’s location is an ideal place to create a conservancy. To the west are opportunities to expand by purchasing land from, or reaching conservancy agreements with, owners who promote hunting. To the south are pineapple farms which could be acquired and re-wilded. To the north is the Munyawana Conservancy, which includes Phinda, a highly respected private game reserve that has seven distinct ecosystems from palm savannah and mountain bush to rare sand forest and dense thornveld. And most importantly, to the east are three private farms (which we call the South Bank). If they agree to join our conservancy, or if we can purchase them, our conservancy would reach all the way to the Isimangaliso Wetland Park (a UNESCO World Heritage Site). We believe this would be a monumental conservation victory. 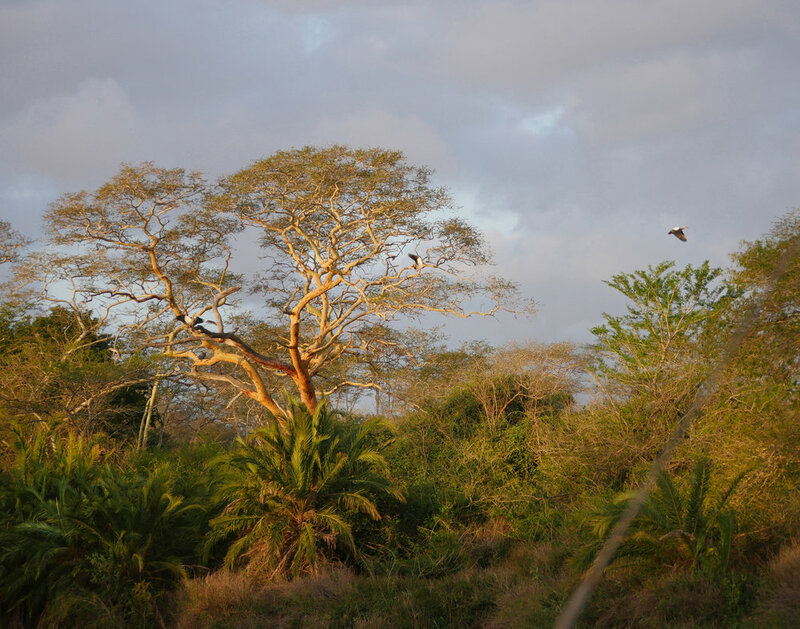 Being in the heart of Zululand, Ukuwela is perfectly situated to support regional and international conservation work. If we were to build a research center, Ukuwela could be one of the few places in the region that supports young scientists providing them with facilities to conduct their critically needed research. The urgency to save “what’s left” of available wilderness has never been greater. If you are looking to make a lasting impact on the future of our wildlife for generations to come, please join us in supporting this project.